I recently read a story on OC Weekly that listed Thrice's top-10 songs. I am frustrated by how incomplete and limited it is. Maybe the writer knows the band's history, but the opposite seems true. Not that the 10 songs aren't good--of course they are, they are great--but they are such a small, stereotypical snapshot of what the band has accomplished. Every writer is biased in someway, including me, but three of the 10 songs they picked, including their #1, won't appear on my list. I did find some other Thrice lists online that were much better and more thought out (but are mostly dated). I find this top-10 list on an IGN message board to be ultra-impressive, as it considers and includes many lesser-appreciated songs from the band's catalog. There is another simple yet impressive list on Sputnik Music. 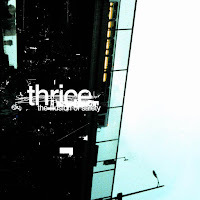 Both of those lists pre-date Thrice's 2009 and 2011 albums however. 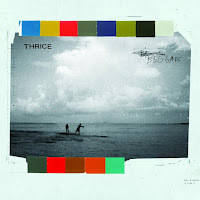 The most recent Thrice top-20 song list I found is on Jason Pye's blog. 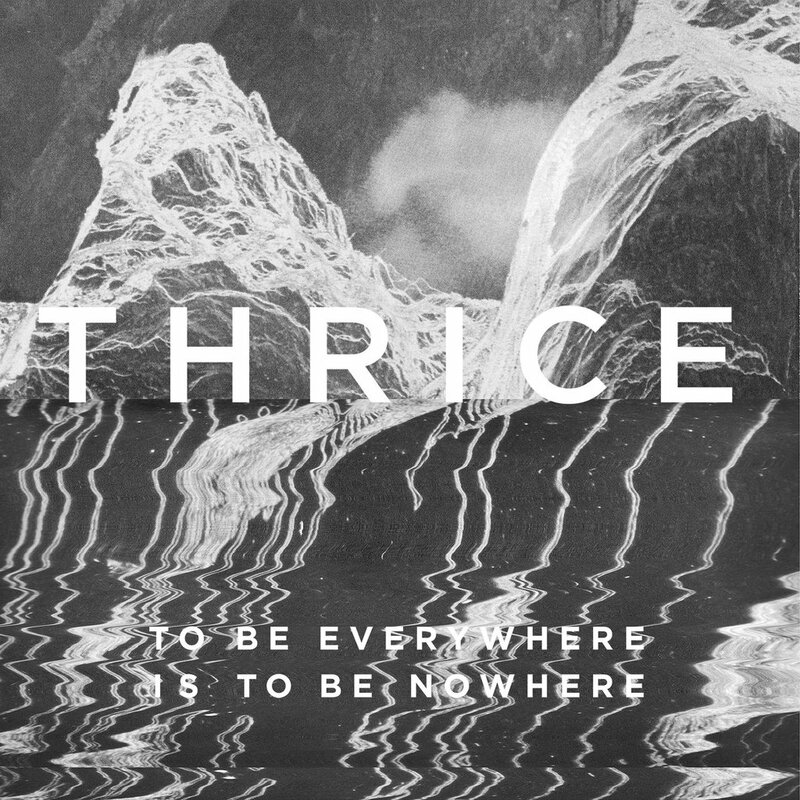 It unfortunately shares much in common with the OC Weekly list: it completely ignores Thrice's quieter, more experimental side and focuses on the edgier rock songs. Thrice at Hevy Fest, UK, August 2015. Photo by me. 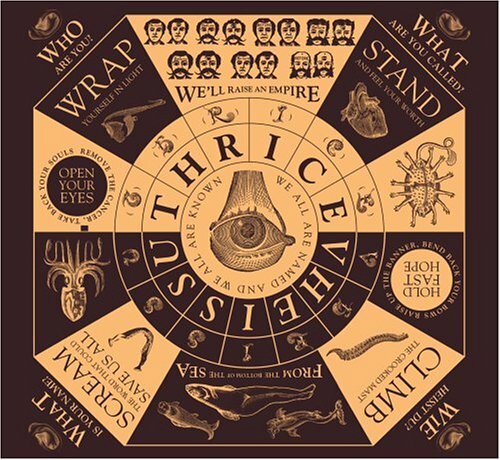 It is hard to rank where Thrice falls on my list of all-time favorite bands, but they are in the top-5 for sure. Since I began using Last.fm to track my music listening, Thrice has 3,500 plays, while no other artist has more than 2,200. So I can easily say I have listened to Thrice more than any other band for the last dozen years or more. 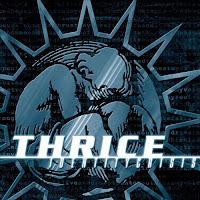 I have a hard time comparing them to my favorite bands of the 90's; but Thrice is far more prolific and has a much larger catalog than many of my favorite yet short-lived bands of the 90's. 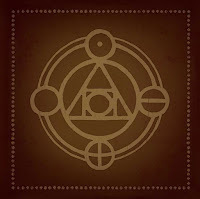 I have written much about Thrice previously as found here and here. I have been fortunate enough to see them in concert four times (2007, 2010, 2011, 2015). 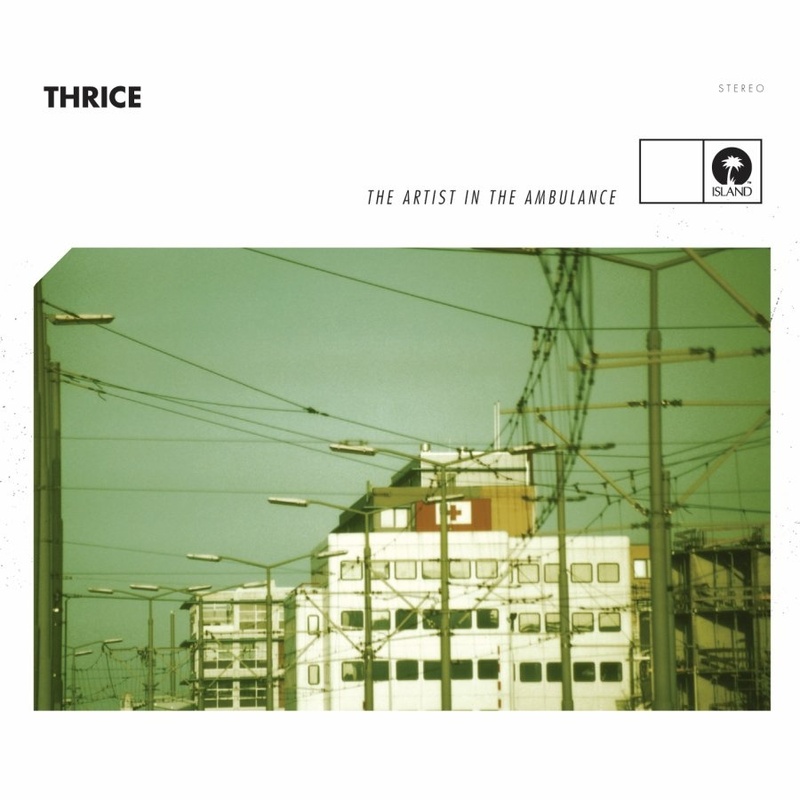 As much as I love Thrice, their final album prior to their hiatus, 2012's Major/Minor, was a disappointment for me. The songwriting and musicianship is outstanding, but the creativity and experimentation of the band was completely forgotten. One can say it is Thrice's most focused, cohesive album, but it leaves me somewhat bored and wanting more. I will admit is is some of Dustin's most profound lyrics, but only two of the songs from Major/Minor make it into my top 25. 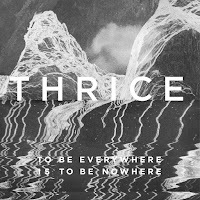 Based on everything I have read and heard so far from the new Thrice album that will drop in 5 days, I am thrilled that they have once again branched out and tried new and different things. 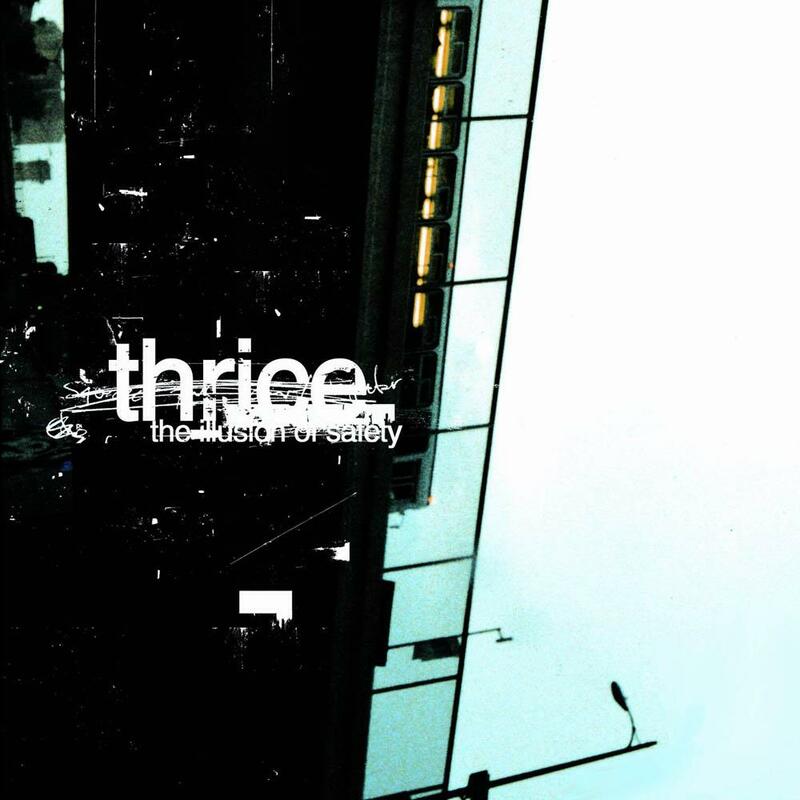 I recently came to the realization that I love Thrice's super-heavy songs and their quiet, experimental songs; but the more straightforward rock songs that fall in the middle just don't do it for me, comparatively. Now I lay here owing my life to a stranger, And I realize that empty words are not enough, I'm left here with the question of just, What have I to show except the promises I never kept? I am a pilgrim - a voyager; I won’t rest until my lips touch the shore - Of the land that I’ve been longing for as long as I’ve lived, Where there’ll be no pain or tears anymore. Am I a good man? I thought I was, But the rewards of this life now count for naught. My body: soon buried and left to rot. The time’s gone, how quickly it all has passed. My God, now I see how I’ve squandered each and every breath. Your eyes, followed me here. Your eyes, sifting my soul. They leave me broken and forge diamonds from the coal. The open water is an awful thing, but I'm anxious till the anchor is aweigh. I'm starting to believe the ocean's much like you, cause it gives, and it takes away. Can you hear what’s been said? Can you see now that everything’s grace after all? If there’s one thing I know in this life: we are beggars all. Look and see the sky turn red. Like blood it covers over me. And soon the sea shall give up her dead. We'll raise an empire from the bottom of the sea. There are still good shepherds scattered, but they're far between and few. And the sheep's skin that the wolves all wear is so thin I see right through. But if knowledge is power, Know this is tyranny, All we're asking for is what's ours, You think they're selling you truth, Truth is, they're selling you out. 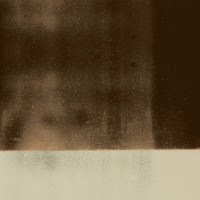 And when I lost all hope to look, Someone took that heavy book from my hands, All it's weight they set aside, After they had satisfied it's demands, I felt white and black reverse, And the lifting of a curse from my heart, Then like one receiving sight, I beheld a brilliant light in the dark. I slowly carve my soul away. Piece by piece I sacrifice. To comfort and peace of mind. (I keep my toes on the party line.) There’s nothing wrong dear, don’t think twice. What have I done? is it too late to save me from this place? from the depths of the grave? we all are those... who thought we were brave. what have I done? 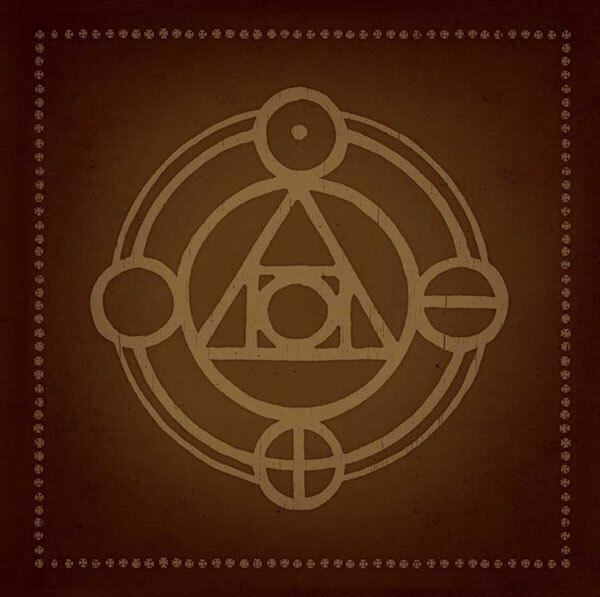 Mark me with Fear and Trembling, Send someone else instead, I know my world is ending, I can't repay my debt. So put your faith in more than steel, don't store your treasures up, with moth and rust, where thieves break in and steal, pull the fangs from out your heel, we live in but a shadow of the real. 'Cause I am due for a miracle, I'm waiting for a sign, I'll stare straight into the sun, And I won't close my eyes, Till I understand or go blind. And come what may, I won’t abandon you or leave you behind, Because love is a loyalty sworn, not a burning for a moment. Come what may, I will be standing right here by your side, I won’t run away, though the storm’s getting worse and there’s no end in sight. when are you coming home to me?" "Darling why do you leave, as the north wind begins to blow? Will you be coming home to me?" As long as we live, every scar is a bridge to someone's broken heart, and there's no greater love, than that one shed his blood for his friends. Filmed by me at the Variety Playhouse in Atlanta, April 2010.